Here in Canada, saying that the winters can be long and cold is an understatement. Apart from while skiing and doing other cold-weather sports, remaining outdoors for long periods of time in winter is pretty much no one’s idea of a good time! And yet, in most cases, the quality of the outdoor air is much better than the warm and cozy air you will find inside your own home or office. The reason for this is surprisingly simple: there is no effort to warm up the air outside. In other words, the very thing we do to make the winter season bearable—heat our indoor air—is one of the primary ways that toxins can enter our indoor air supply and, from there, our lungs and respiratory passageways. In this post, learn about three all-natural tips that can help you keep your indoor air both warm and clean this winter! Essential oils have been in use for centuries, and yet it is only recently that they have captured the interest of the general public. As luck would have it, not only do essential oils smell wonderful, but they are also potent purifiers and healers. Many essential oils have well-documented antibacterial, antiseptic, antimicrobial, antiviral, and antifungal properties, among others. As well, certain essential oils have known therapeutic effects on the respiratory system, which is where allergy, cold, and flu germs first take hold. Essential oils also calm and balance the mind and emotions, which can be essential when winter’s short days, long nights, and general discomforts dampen your spirits. There are hundreds of different essential oils to choose from, each with its own special properties. These essential oils are proven to clean and purify the air efficiently. Tea tree. Boosts immune system function plus packs a sterilizing punch. Tea tree is considered “the” essential oil by many health practitioners, including the U.S. National Institutes of Health (NIH), for its antimicrobial and antiseptic properties. Lavender. Lavender comes from the word “lavare,” which means “to wash.” Not only will it calm you in body and mind, but it will naturally repel pests, purify and cleanse the air, ease headaches, and disinfect any surface. Lemon. Draws out odours and toxins from the air, disinfects naturally, plus eases coughing and supports congestion drainage. Eucalyptus. Opens the respiratory passageways, eases congestion in the sinuses and chest, sterilizes, and purifies the air. Rose. Not only is rose one of the most heavenly scents, it is also one of the most cleansing and purifying. Rose oil contains a whole suite of antiseptic and astringent properties to keep the air toxin-free and surfaces cleansed of all allergens and germs. In an air freshening spray. Combine 1/2 cup water and 5 to 8 drops of essential oil and shake to mix. Spritz to freshen and purify the air in any room. In a diffuser kit. Make your own essential oil diffuser to keep room air fresh and clean. 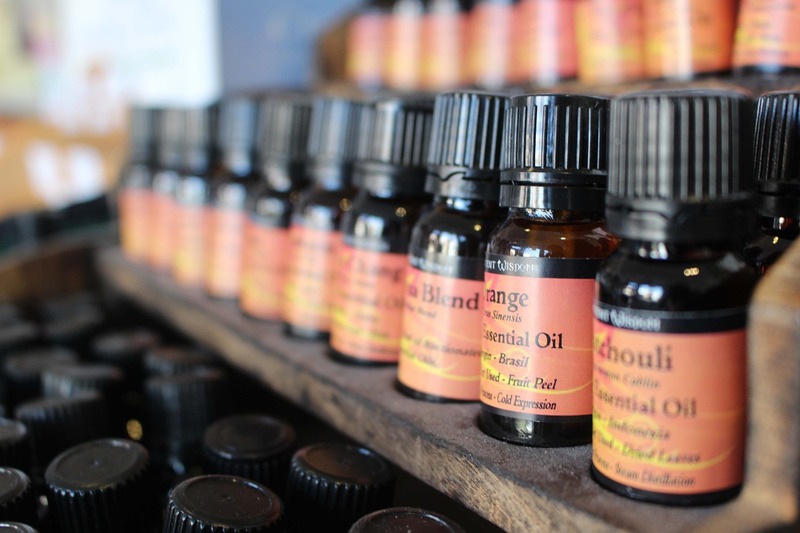 Add 30 drops of essential oil to a narrow-necked small glass bottle. Next, pour in 8 ounces of clean water and swirl gently to combine. Place in your sticks (you can use small shrub branches/twigs) and this will allow the oil/water to travel up and out into the air. As an ingredient in cleaning solutions. Combine 3 cups of plain water, 4 Tbsp white vinegar, and 10 drops of essential oil into a spray bottle and shake to mix. Spritz onto any surface to clean. Inside your vacuum cleaner. Saturate two cotton balls with essential oil and place these inside your vacuum cleaner (in the canister near the bag is best). This will disperse the essential oil into your carpets. In cabinets and drawers. For areas prone to producing odours, mould, or mildew, placing one or two essential oil saturated cotton balls inside can purify the air in these places. On the stovetop. Put on a pot of water to simmer and add a few drops of essential oil to disperse the oil into the air. In addition to absorbing harmful odours and gases, houseplants can also take in volatile organic compounds (VOCs), ozone, formaldehyde, carbon dioxide, and other harmful-to-humans airborne pollutants. The plants use their leaves and roots to absorb these and other compounds out of your indoor air. You don’t need that many plants, either. Just three houseplants could reduce ozone layers in a room up to 25 times faster than in a room without plants. The best houseplants include: peace lilies, golden pothos, areca palms, English ivy, snake plants, Boston ferns, Japanese royal ferns, spider plants, purple waffle plants, and aloe vera. Right now, Clean Air Solutions Hamilton is offering a holiday special of $50 off any indoor air duct cleaning package. Air duct cleaning is like hitting the “reset” button on your indoor air supply. Once your air duct system is vacuumed out, the pollutants and toxins that have been circulating and recirculating in your indoor air supply will be gone. This is also a great time to invest in HEPA-rated filters for your HVAC system and vacuum cleaner and a central or room air purifier. Combining these three tips together will result in pure, breathable, toxin-free indoor air all winter long.